Hello there! What a month July was, let me tell ya' ... it wore me out. Boise PD - one of our newest law enforcement partners is making good recoveries! Keep it up, Boise! "... a group of people we knew messaged the guys through the day (probably gonna launch a detective agency soon to be honest)... "
Before we get started: Recall that Bike Index is a 501(c)(3) non profit. We love catching thieves and finding stolen bikes - but we could always use a little help. Original tip: "... your bike is on Offerup right now, been talking to the seller. name is (redacted)" Later, from the owner: "Thanks to an anonymous tip as a result of this posting I was able to track the guy down and get my bike back. Proves that there are good people left in the world. I did file a police report and there's a warrant for his arrest. I reported the bike as stolen and recovered on OfferUp. The kid who stole it was already in the system for another crime and think he didn't want to go back to jail. I just reasoned with him on the phone and he met me to give it back. In exchange I offered not to proceed with criminal charges. Hope this helps. I will definitely recommend this site to my bike community. Thanks!" 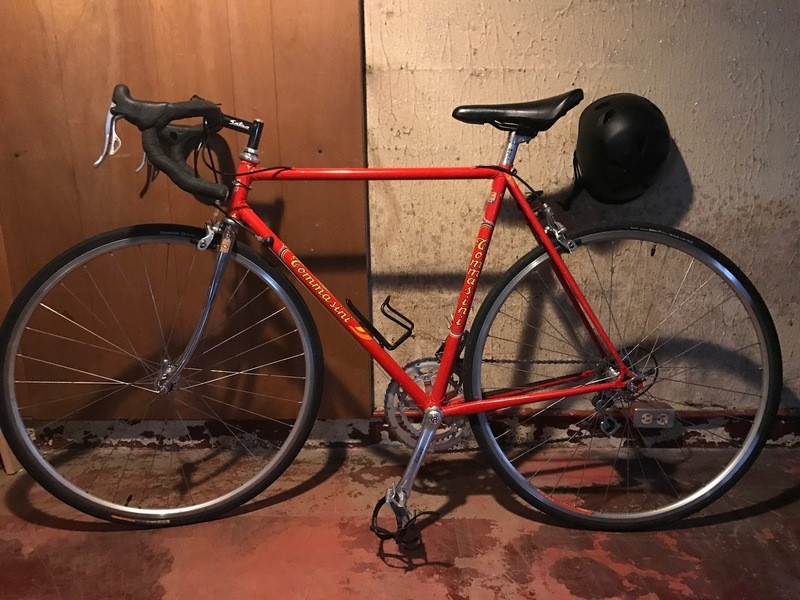 This stunner old school Tommasini was recovered by an awesome local shop: "Hi, I'm the owner of Kenton Cycle Repair bike shop. Great news! I have your bike!! I would like to get it back to you!! I bought the bike from a "gentleman" who approached me asking about it's value and if I would like to buy it. Knowing it was stolen (but not certain this person had done the original theft) , I decided to buy it. I have it at my shop and would like to return it to you..."
"I got a call from somebody who saw my posting on Bike Index. He said that he saw my bike behind his building across town. He sent me the location & I went and sure enough, it was mine ..."
"Local bike shop (Blazing Saddles) had the bike in for repairs and searched for the serial number on Bike Index. Bike showed up as stolen and LBS called me to return the bike!!!!" "The thief pawned my bike and the pawn shop reported it ... glad I filed the report!" "Bike was left abandoned on a Metro Bus. I was contacted through Bike Index by the King County Surplus department ... " Bike Index would like to note WTF TITANIUM MOOTS JUST ABANDONED ON A BUS. DEAR GOD. "Someone purchased the bike on Craigslist and looked up the serial number on Bike Index and was able to return it to me! (See this reddit thread by the bike's owner for more)"
This one was a rabbit hole: Spotted on Offerup (shocker, I know) the owner confirmed "Yes, I can tell that this is the bike - I will contact the local police and see how to go from there. And yes, I am a 100% certain that it is my bike." So: We put them in touch with Offerup. That was July 16th. The owner got an Offerup form letter ("We ask you to make a police report because only your local law enforcement has the jurisdiction to fight crime in your area...") ... and then ... nothing. A lucky spot via Twitter - this person registered a couple days after someone had already tagged us on @stolenbikereg - "Friend of mine found an abandoned bike on an overpass at 17th & Powell. It’s been dropped at WTFbikes. Pass it on until the owner is found! CC @stolenbikereg." Remember when Boise PD signed up with Bike Index? Well, they've been busy - from their Facebook: "Bike Index for the win! In early July, Shannon unfortunately had to report that her Trek mountain bike had been stolen from her place of work Downtown. She filed a report with Boise Police and also updated it as stolen on the Boise Bike Index, which is a registry used across the nation to keep track of people’s bicycles. Shannon had pictures and the serial number posted to the Bike Index, which makes things much easier when trying to locate a lost or stolen bike. Fast forward just over a week… Boise Police detectives located a bike that had recently been pawned under suspicious circumstances. Detectives ran the serial number and compared pictures, and voila! They realized that this bicycle was in fact Shannon’s, which she had reported stolen the week before. The bad guy who had stolen and pawned her bike was charged with grand theft and burglary, and Shannon got back her Trek mountain bike!" " A pawn shop was trying to sell it, and a customer told the owner that it was stolen..."
Got a quick message about this one from the Seattle Police Dept Evidence Unit that they had this one. Later, from the owner: "Sure did (get it back)! Already called and am going to pick it up today! Thanks Bryan! This made my day!" The initial tip on this one came in as: "I may have found your bike at at 18th and Harrison. I turned it over to Mission Station in link with another attempted theft ..." Later, from the owner, we learned more : "A guy/saint named (redacted) called me, saying that he apprehended someone stealing his bike while possessing my bike. He looked up my bike on Bike Index, and called me. The SF police were ready to let the thief leave with my bike, but Sam convinced them to wait for me to come pick it up. The bike was very altered and damaged, but we could read enough of the filed down serial number to confirm it as mine..."
Another great score from the Stolen Bikes Edmonton crew: "I think I saw this bike on the Letgo app..." Later, from the owner: "Hi, thank you so much for the tip, it was my bike in the add!!! I contacted the police this morning and I guess a neighbour near the seller had also tipped off police about a nice bike in a sketchy area. I got the bike back tonight!! Thanks again - this bike community rocks!! " Stop me if you've heard this one: someone buys a stolen bike on Offerup and then it turns out this is one of those sellers everybody has been chasing for months already because for some damn reason his account is still active even though he's fencing bikes left and right. Hell, it's still active as I write this. Initial report:"Hello, I ended up buying this bike in Offerup and just came to know it is stolen. Please reply back for details. Thanks!!" Later on, more: "Hi Bryan, I have recovered the bicycle and have a good case against the person who “sold” it. I have a report of his OU sales history. He has listed 22 bicycles (mostly high end) in a two year period, just on Offerup. " So: It looks like this person is now getting the law enforcement attention they deserve, but, come on ... How the hell this person still has an active account is beyond me. 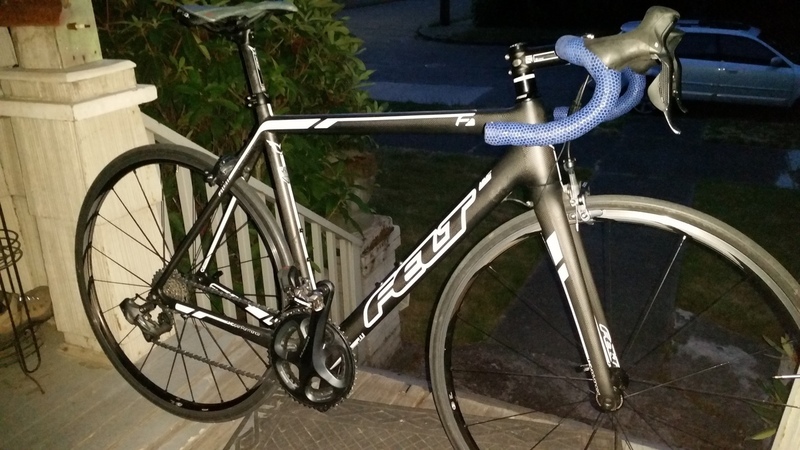 Another Stolen Bikes Edmonton / LetGo special: "Look what I just found on letgo!" ... Later, from the owner: "Got my bike back - Thanks! Was contacted via Bike Index that my bike had popped up for Sale on LetGo ... then with some help from my friends, I now have my bike back!" "Beaverton, OR police arrested transients in a stolen car with my bike and other stolen items inside. This site works!!" "Spotted it on Kijiji pretty quickly after the theft, a group of people we knew messaged the guys through the day (probably gonna launch a detective agency soon to be honest), cops got involved and took over the Kijiji bait and had to chase the guy away through a busy neighborhood - cop on foot chased the guy (who took off on the bike) down for about 4 blocks, ended when another one who caught up in the SUV & tackled the thief. JUSTICE FTW." Hey! The University of Washington police - also Bike Index partners - continue to recover bikes at a steady rate - and they posted this one to Facebook: "Shout out to UW Police Sgt. Jackson who recovered an Seattle Police Department stolen bike yesterday! Remember to register your bike through Bike Index so we can get it back!" "Officer found person riding spray painted bike. Turned out to be my bike!"